Ben Watkins serves as President for Watkins and Company, CPAs. As President, Mr. Watkins is responsible for overseeing the firm’s operations and overall vision for the company. Additionally, he is responsible for review of prepared business and individual tax returns prior to release, maintaining quality control, assisting with the research and resolution of more complicated tax issues and serving as a sounding board when tax issues need to be discussed. As President, Ben’s clients have included, among others, trucking and truck brokerage companies, landscaping service companies, attorneys, retail and wholesale companies including: furniture stores, yard and garden and florist retailers and drug stores. Furthermore, he provides a wide range of tax reporting and advisory services to ordained ministers and churches, dentists, school teachers, owner-operators of trucking companies, salesmen and agents, individuals with royalty and working oil and gas interests, small business owners, real estate appraisers, and retired individuals. 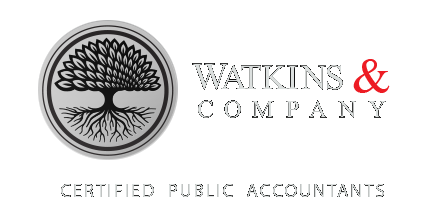 Mr. Watkins has more than thirty-five years of experience in public and private accounting, most of this as a partner in a local firm. Prior to founding Watkins and Company, Ben was a partner with Schultz, Watkins and Company for seventeen years. Ben graduated from the University of Mississippi, located in Oxford, MS in 1972 and 1974, with a Bachelor of Arts (BA) degree and a Master of Social Sciences (MSS) degree. Ben also attended Mississippi College in Clinton, MS to complete his accounting and business courses in order to qualify for The Uniform CPA Examination. Ben is a licensed CPA in the state of Mississippi. He is a member of the AICPA and the Mississippi Society of CPAs, Central Chapter. Ben was born in Brandon, MS but grew up in Jackson, MS, graduating from Forest Hill High School. He and his wife, Rosie, now reside in Pearl, MS. Ben and Rosie have one grown son and two grown daughters. When Ben is not working he enjoys traveling to visit his son and granddaughter in Arizona, spending time with his daughters and granddaughters, college football and his cactus and agave collection. Ben and Rosie attend Colonial Heights Baptist Church, where they have been members and served for over twenty-six years.